Members are reminded that the annual membership fee of €25.00 for 2016 is now due! Should any member wish to pay by bankers order please contact the hon treasurer for details on setting up the payment system. 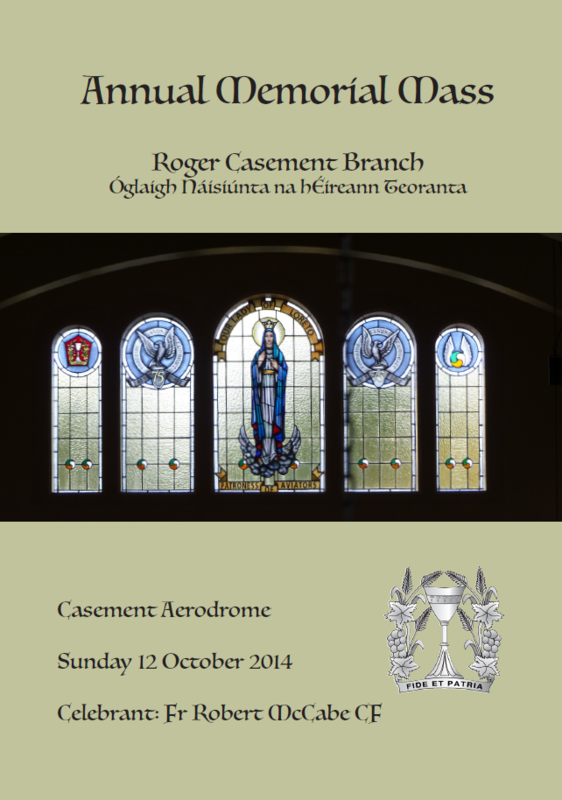 Booklet for the Branch Annual Memorial Mass, 2014.